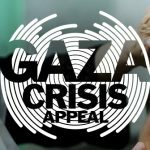 Would you like to help those who have been injured and are homeless, living in Gaza? There will be street collections across the Island this weekend: Castletown: Saturday Douglas: Saturday and Sunday Peel: Saturday Port Erin: Friday and Saturday Ramsey: Friday If you could help by holding a bucket in one of these places, please contact us. if you would prefer you can give on line, or you could text “Donate” to 70000 to give £5.